My first experience attending ACS began with one of the most stressful events of my cheese career: The Certified Cheese Professional exam. 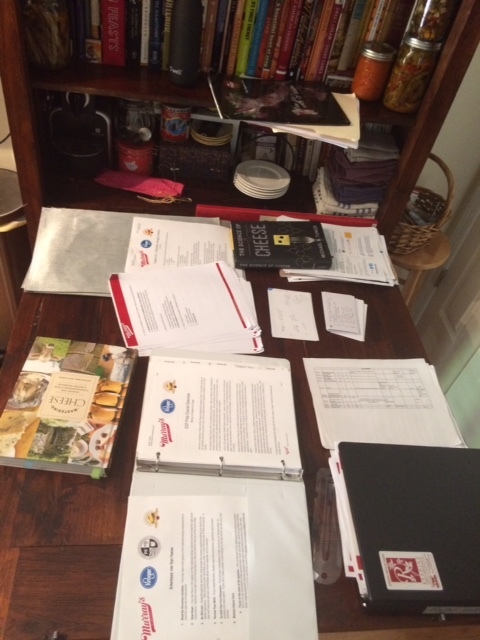 The CCP exam is the official ACS certification for cheese professionals, AKA cheese lifers, to validate their knowledge and status on an industry scale. Have you worked a certain amount of time in the industry? 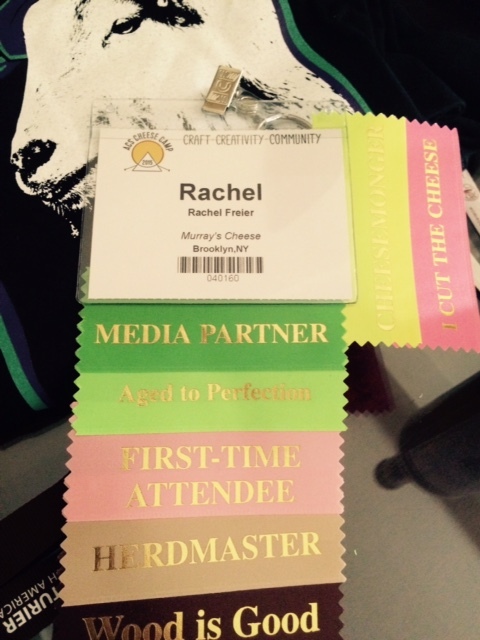 Have you decided to give it your all and be a cheese nerd for life? 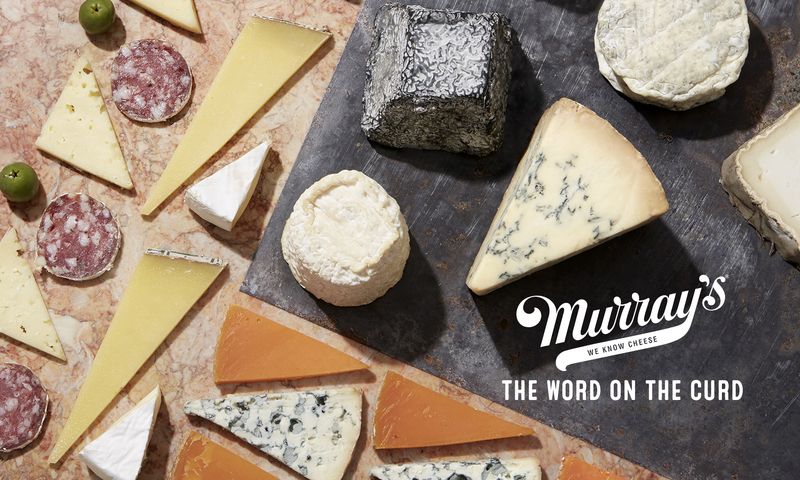 Do you want to know absolutely everything there is to know about cheese? 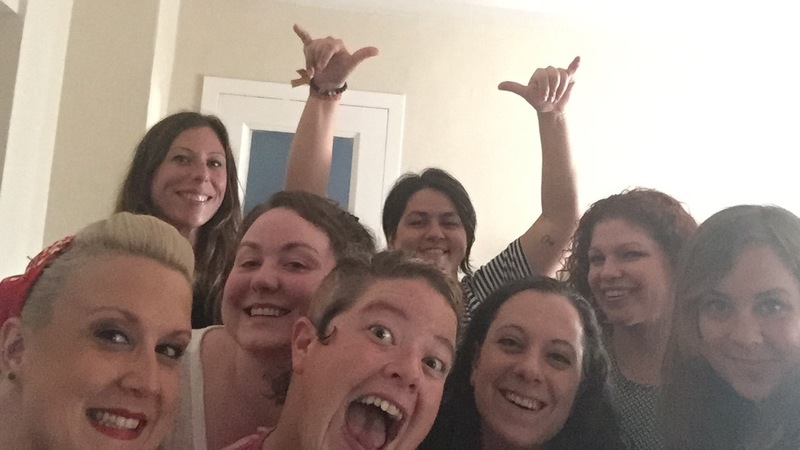 Do you want to join the group of like-minded cheese obsessed kindred spirits? Do you love cheese with all your heart? If the answer is yes to all of these questions then I would suggest taking the exam. After three intense months of Murray’s conference call study seminars, nine bodies of knowledge crammed in to one brain, x percentages, decimal multiplication and a cheese jeopardy review session with 65 cheese brains in a room, I was ready to take the ultimate cheese test. Not to mention the camaraderie, tears, hugs, maniacal laughter, self-doubt, stress, adrenaline, caffeine, alcohol (calms the nerves) and cheese. Lots of cheese. 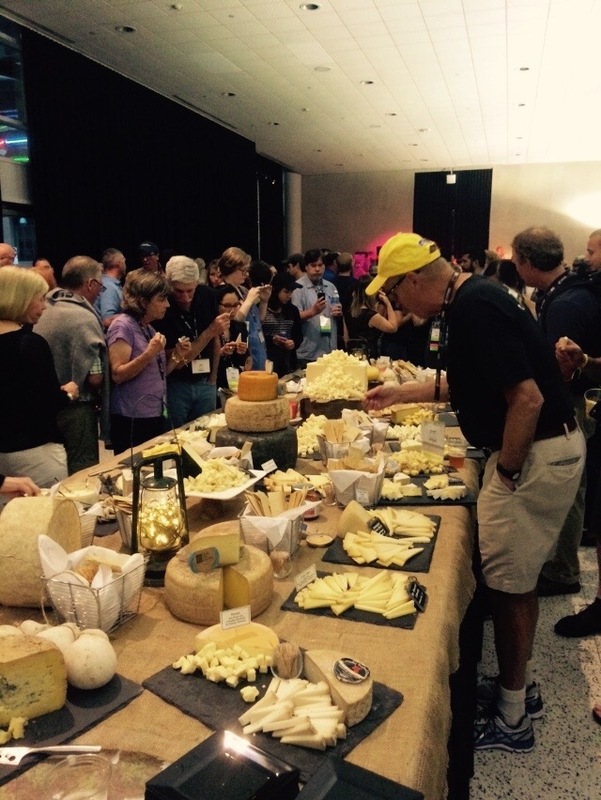 The absolute best part of taking the exam was that it concluded with the opening reception of ACS Cheese Camp. I wasn’t sure about a conference called “Camp;” I didn’t know what to expect. Well, I did not expect and yet thoroughly enjoyed: a pig roast, sing alongs, late night storytelling, s’mores, tents, canned beer, camp t-shirts, day time activities, arts and crafts, lunch mess hall, counselor crushes and making so many new friends. And thanks to the pen pal app of Facebook and Instagram keeping in touch with ALL my new friends I made at camp has never been so easy. What I did expect was cheese. I did not imagine in my wildest dreams sooo much cheese. 1700 different types of cheese at the Festival of Cheese. I also expected cheese people yet could not imagine sooo many cheese people, every height, shape, age and milk type from all walks of cheese life. I did not expect to attend a Wooden Board Panel (aging cheese on wooden boards that is), or a Mushroom & Mold seminar, seated next to and amongst cheesemakers, cheese book authors, farmers, herdsmen, micro-biologists, retailers, importers, the Amish and cheese glitterati. Feeling one with all, asking the same questions and learning together, I did not realize I would become one of and join the community of cheese people so entirely. You know they are out there, you hear stories about them, you yearn to meet them, you eat their cheese and when you finally find them and they smile and give you a big friendly cheesy hug and acknowledge you as one of their own you know you have found home. A great big beautiful cheesy home. Thank you Murray’s, my nuclear cheese family, for supporting me through the CCP trials and sending me to cheese camp! Can’t wait for next summer.